I’m still on my big Zinfandel kick. Trying new ones weekly, even daily. Easy now. 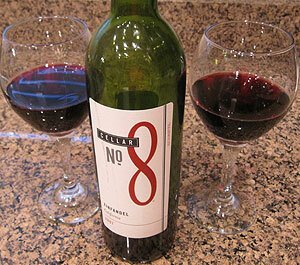 A moderately inexpensive, okay cheap, Zin is the Sonoma California Cellar No. 8. This wine does have its own personality, not tasting like every other Zin from that region. This Zin has a nice light flavor which is quite enjoyable. Not too fruity and no heavy spices or wood overtones. I’ll definitely pick this one up again.